If you have high uric acid levels in your body, you have a high chance of developing gout. Uric acid is produced by the body via the foods we consume, through breakdown of purines in the bloodstream. However, uric acid can also be formed inside the body. Also known as hyperuricemia, excess uric acid is caused by a build-up of purines in the blood which are not being properly dispelled by the body. 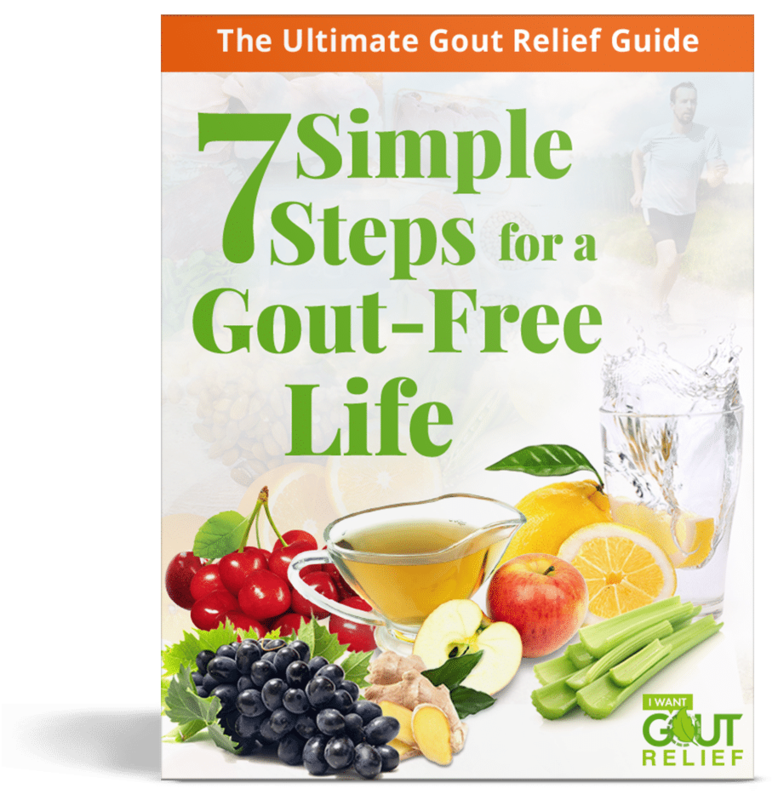 In today’s day and age, approximately 4% of the US population suffers from high levels of uric acid and gout. 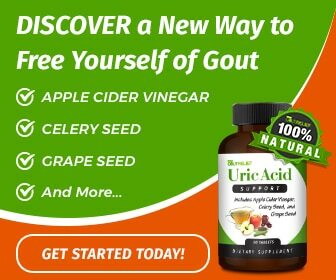 So, if you’re wondering how uric acid and gout are related, this blog should outline everything you need to know. Essentially, uric acid is a waste product produced by the body. How this happens is via the breakdown of DNA and the conversion of amino acids. All animal cells are comprised of DNA. As a cell dies, this DNA is broken down into its individual parts, known as amino acids. These amino acids are known as purines and are converted into chemicals in the body. 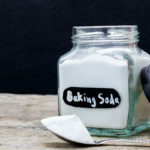 Our body recycles most of these chemicals, however, the leftover amino acids are converted into uric acid which is usually dispelled via the kidneys. With this process in mind, it’s simple to understand how certain diseases can be associated with higher levels of uric acid. When you are ill with a disease, the cells and DNA in your body die at a faster rate. This leads to the production of purines and increased levels of uric acid. However, your body is incredibly smart and works to excrete these unwanted purines via the kidneys, through the urine (hence the importance of drinking a lot of water throughout the day, which is something you’ll hear a lot about on this website). But when uric acid cannot be efficiently excreted, this is an indication of an underlying condition such as a kidney disease. Additionally, some long-term medications also interfere with the process of excretion. Having excess uric acid levels in the body is also associated with genetics and can be passed down due to a strong family history. Other conditions such as obesity are also associated with high levels of uric acid, which usually results in hyperuricemia and instances of gout. Experts believe that excess fatty tissue in the body results in an increased production of uric acid. Finally, diet is also closely related to uric acid levels. Approximately 10-15% of purines in the bloodstream are related to what we consume. Foods such as offal, seafood, and red meat, as well as excessive alcohol consumption, can lead to increased uric acid levels. In the above, we have touched on what is associated with high levels of uric acid. But the body is a complicated mechanism and the causes of elevated uric acid levels don’t stop there. It’s important to note that when undergoing any form of radiation treatment your uric acid levels will be monitored due to excess waste in the bloodstream. Though both gout and rheumatoid arthritis (RA) have similar symptoms, they are not the same disease. Yes, they are both inflammatory diseases which cause pain and swelling in the joints, but their underlying causes are quite different. Gout is caused by higher levels of serum uric acid in the bloodstream. This uric acid builds up to form urate crystals, which then accumulate in the joints, causing inflammation and pain. On the other hand, RA develops when the immune system responds in an abnormal way. It attacks the joints or organs due to a foreign virus or infection in the body. However, the symptoms of RA and gout are very similar, making an exact diagnosis difficult. Symptoms of RA include most of the above, however, joints which are affected are usually in the fingers, knuckles, and wrists. 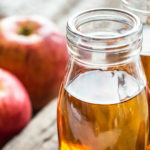 Gout is a relatively straightforward ailment to treat once it’s been correctly diagnosed (some go the route of using “big pharma” drugs, which sometimes have their place, but we prefer a more natural approach on this website (whenever possible)). In order to successfully diagnose gout, your uric acid levels will need to be tested. This is usually done by your regular doctor via a blood or urine sample, but you may want to consider visiting a rheumatologist to get this done. Measuring uric acid via your urine is a more effective way of determining whether your body is producing too much or your kidneys are not filtering enough. Generally, if your uric acid levels measure over 6.8 mg/dL (this number is lower for women), you could have hyperuricemia, which can result in episodes of gout. If a urine or blood test is not sufficient enough, your doctor could order a number of different tests. Some of these include a joint fluid test to diagnose urate crystals, an ultrasound to look for urate crystals, or x-ray imaging to look for erosions. Once you have been diagnosed with gout, you may be prescribed nonsteroidal anti-inflammatory drugs or corticosteroids by your doctor. 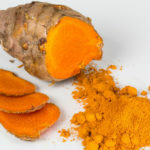 Again, we prefer to try to address things more naturally (through changes in diet, water intake, and supplement use), but sometimes there’s no choice but to use such drugs. As previously mentioned, excess body weight is known to cause excess levels of purines and high levels of uric acid. This is why maintaining a healthy weight can help to lower instances of waste in the bloodstream and your chances of developing gout. Maintaining a healthy weight means changing your lifestyle to suit healthier choices. It doesn’t mean crash-dieting or fad-dieting. If you are overweight, you will need to focus on losing weight gradually through a healthy diet and consistent exercise. On this note, you will also need to look at reducing foods from your diet which are high in purines. Some of these foods include seafood, red meat, offal, over-processed fast foods, and alcohol. A diet high in saturated fat inhibits your body’s ability to process purines and eliminate them from your bloodstream. So keep this in mind when looking at your diet. Artificial, processed sugars are among the worst food items to consume if you suffer from high levels of uric acid and gout. To this end, try and avoid all artificially sweetened drinks, such as sodas and some fruit juices, as well as sugary foods. 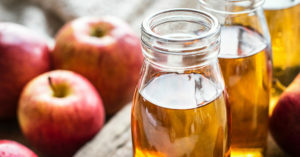 Definitely stay away from high-fructose corn syrup! Foods such as pastries, cakes, candy, chocolates etc. are a no-go when trying to lower uric acid levels and maintain a healthy weight! This is a no-brainer. 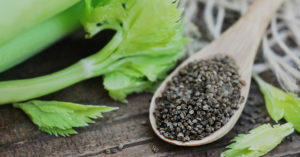 High fiber foods work wonders for lowering your uric acid levels as they soak up excess uric acid from the bloodstream. This makes it easier for your kidneys to filter it. High fiber foods include fruits, vegetables, and whole grains such as wholewheat bread, rice, pasta, and legumes. Additionally, you should consider upping your vitamin C intake as this vitamin has been known to specifically help with uric acid excretion. Try to consume 500mg of vitamin C per day via natural sources of citrus and other vegetables such as citrus fruits, bell peppers, kale, broccoli, and guavas. To fend off inflammation in the body, often the source of pain for gout sufferers, it’s important to add anti-inflammatory foods to your diet. Some of these foods include blueberries, tart cherries, strawberries, pineapple, celery as well as herbs such as turmeric and garlic. Water is the answer to keeping you alive and healthy, more than most people realize! By upping your water intake, this will dilute the uric acid in your blood and help your kidneys to flush out the toxins. It’s recommended that most people drink a minimum of two liters of water a day, even more, if you suffer from gout. 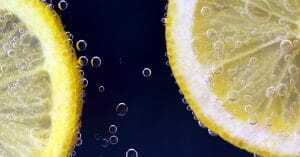 To keep things simple, start with drinking at least 8-10, 8 ounce glasses of water every day. You’ll feel a difference in even just a week of sticking to this! Adding herbal teas to your diet is also a great way to increase your fluid intake. However, it’s important to remember that each individual may have different hydration needs. Your doctor can better recommend the ideal amount of water consumption per day according to your age, weight, and medical history. Gout sufferers looking to lower their uric acid levels should try to follow the 80-10-10 diet rule. This consists of eating 80% of your daily calories in complex carbohydrates, such as vegetables, fruit, and whole grains. Another 10% of your daily calories should consist of lean meats, such as chicken breast, turkey, and fish (but make sure to avoid pork related meats like hot dogs, sausages, and cold cuts). Finally, the last 10% of your daily calorie intake should include fats, such as dairy – milk, butter, cheese, eggs, and Greek yogurt. This is a sure-fire way to ensure your diet is on the best track to lowering those uric acid levels. 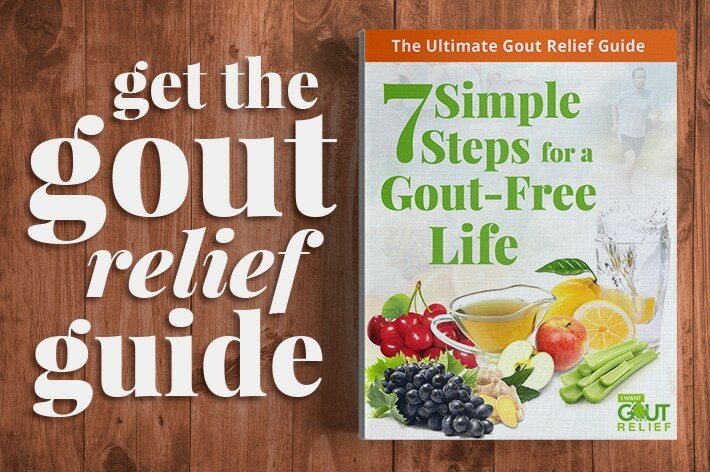 Looking for Expert Advice on Gout Relief? 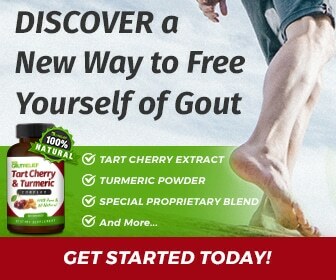 If you’ve been recently diagnosed with excess uric acid and symptoms of gout, I Want Gout Relief is here to help you. 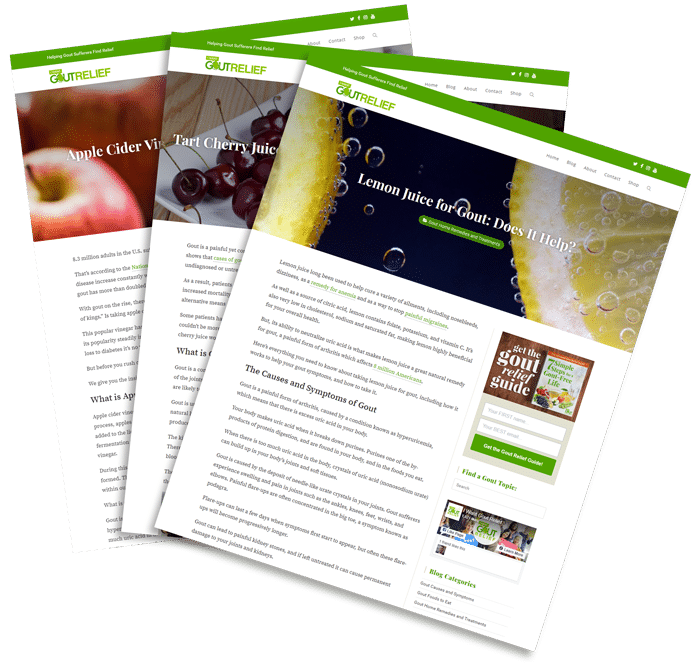 For expert advice, tips, articles, and insight on how to find relief from pain and inflammation associated with gout stay-up-to-date with us by subscribing to our email list (on this site) and liking our Facebook Page.